There seems to be a lot to learn in regards to cocaine by the general party-goer, as it’s clearly being tossed around and ignorantly treated as though it were something short of harmless, something glamorous even. This is definitely not the case, as even recreational use can lead to detrimental effects. Cocaine is a powerfully addictive stimulant that causes you to feel euphoric and confident, more social, and possibly you can stay out a couple of hours later at the club because your energy increases from it as well. However the disturbing facts of its potential danger is presented bare with the intention to be taken seriously, because it goes to show how even one night of partying is simply just not worth it. The drug can be snorted, injected or even smoked in its processed form known as crack. No matter how it’s being ingested, the drug depends on continuously releasing your dopamine without allowing it to recycle which in turn floods your brain in order to cause the high. You can see how this disrupts normal brain function. 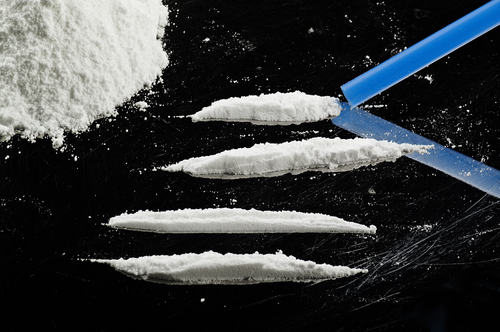 Cocaine particularly affects adrenal function, as it mimics adrenaline while rushing through the system. Long term use, although recreational, causes adrenal atrophy and also can result in a dulled lack of smell, routine nosebleeds and a chronically runny nose. Cocaine also constricts blood vessels as well as increasing body temperature, heart rate and blood pressure. On top of this already not so pretty picture, the drug decreases appetite and will leave the user malnourished. Cocaine binges have been reported to leading to irritability, nausea, aggressive and sometimes violent behavior, restlessness, anxiety and paranoia of high severity. The low from cocaine has generally been reported as depression, which can become pretty severe in some cases. Cocaine can cause the person to suffer a heart attack or stroke which may cause sudden death. The fact that this loosely passed around party drug has been linked to death is a serious issue. The popularity and glorification of its use only adds to the inevitable problem at hand. A majority of users are oblivious of these facts regarding cocaine and will find themselves coming across problems later on as their recreational habit transitions into the dangerous territory of negative side effects, as it inevitably will. Whether it’s a one time thing, or just a weekend habit, or just for stress regulating purposes after a long day of work, the user could feel the repercussions of this drug at any point in the variety of ways listed above. In conclusion, it should be noted that cocaine is also a highly addictive drug that has a tolerance which is developed rather quickly by anyone using it. It’s a slippery slope and leads to higher and higher doses being necessitated to maintain the height of your original highs. Soon enough the user will become hooked, unable to break free from the hold of the drug’s “promising” relief. The dangers of cocaine are loud and clear, the reality definitely contrasting harshly with its undeserving glamorous reputation. You can see how even a recreational habit on the surface can lead to a dark and seedy path.